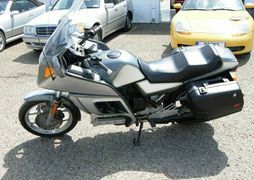 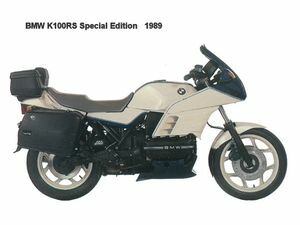 In 1989, BMW launched the K1, a machine shaped in the wind tunnel, with futuristic styling. 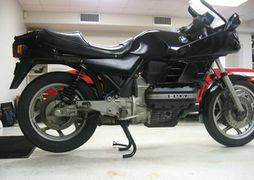 The K1 was extremely expensive and sold in very small numbers. 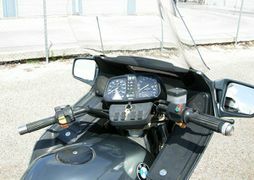 However, the big bike riders were extremely disappointed that the improvements which had appeared on the K1 were not reflected on other machines in the range. 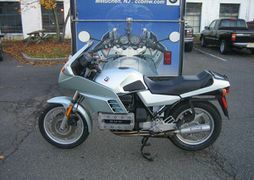 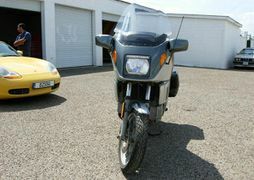 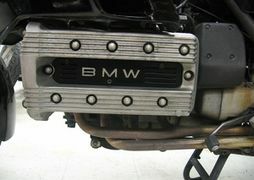 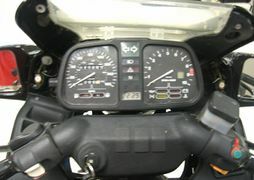 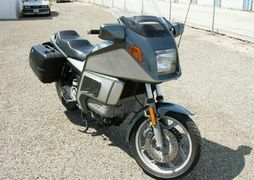 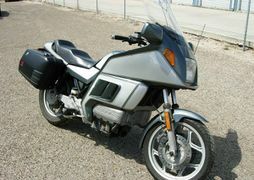 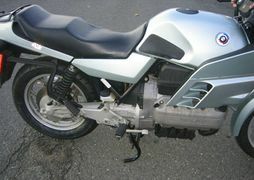 The K100 RS1 introduced at the beginning of 1990 was the answer. 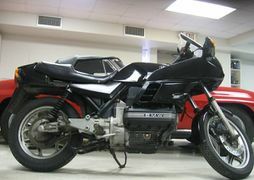 Its distinctive black finished horizontal four-cylinder engine had the 16-valve head first seen on the K1 for extra flexibility and responsiveness. 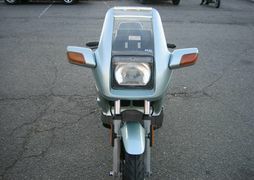 The frame had the same improvements as the K1. 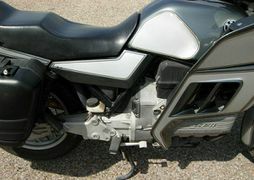 The new brakes,with Brembo double piston calipers, delivered maximum efficiency and were backed up by the unmatched safety of the ABS system that BMW had pioneered on motorcycles. 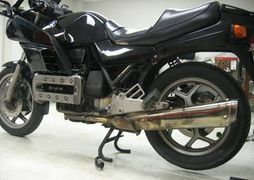 The "Paralever" suspension, with its pivoted parallelogram layout, ironed out all the reactions common to shaft-driven motorbikes, from jerky braking to torque reaction under acceleration. 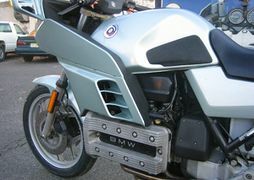 While the 1000 RS1 is still expensive, the caliber of the detail work --the superbly designed fairing, the built-in supports for the optional panniers, the control panel as carefully laid out as on a BMW automobile and the high quality tool roll- justifies the price.